Size, function, fabric and style play a major role in your decision when choosing a lounge to suit your home's décor. 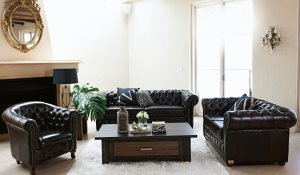 Whether it's a leather lounge suite or chase lounge, here are some important factors to consider when selecting a sofa. Sofas may also come with additional features, such as a chaise lounge, that allow you to stretch out, or adjustable arms and backs so you can rearrange the sofa to suit you. When you're looking to buy a sofa, the first question you need to ask is: what is it for? Will it be used as the focal point of your living room, or will it be an intimate setting in a side room for entertaining guests? Sofas are generally categorised by how many people they can seat: two-seater, three-seater and so on. 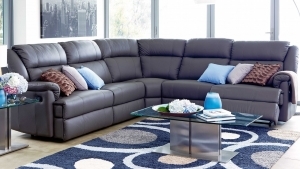 Choose a sofa or lounge suite that will comfortably accommodate the members of your household. If you have a large amount of space and want to entertain big groups, consider buying a large modular lounge, or work out an arrangement involving a lounge set consisting of two or three different sofas. Size is an important consideration; it's vital that the sofa you buy will fit in its allotted space. Allow for a certain amount of clearance between the sofa space and other furniture around it. Bear in mind any additional features — such as recliner extension or pulling out the bed frame of a sofa bed — and allow for suitable clearance. Precise measurements are essential for selecting the correct lounge. Be sure to measure not only the space the sofa is to go into, but also any doorways or corridors it'll have to pass through when moving it in. How Do I Choose A Quality Sofa? Suspension: The seating suspension determines how the sofa deals with pressure and maintains its firmness and comfort. Upholstery: This basic choice in upholstery is between fabric and leather. Warranty: Sofas will have warranties for different parts of the structure, including frame, seat foam and suspension.